The Multi-Band Fan Dipole - How to build a multi-band dipole antenna with a single coax feed. Instructions for a 160M antenna that will fit in the space that a 75M dipole will with almost as good of results as a full size 160M dipole. 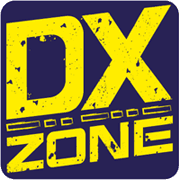 425 DX NEWS - DXNews text bullettin senr via email since 1995, with a lot of DX News, annouces, QSL managers , updates on DX pedition, cluster statistics and DX and contest calendars edited by an Italian Team of ham radio operators. LZ1JZ QSL Print services - QSL printing service based Bulgaria and managed by LZ1JZ, offer from single color to full color qsl cards. QSL extra - QSL extra offers QSL informations for every ardent dxer, with over 30.000 entries.